It is estimated that terrorists net about $120m between 2004 and 2012 in ransoms. JAMES FOLEY’S BEHEADING beheading underscores the agonising dilemma governments face in hostage situations: paying a ransom that funds kidnappers and encourages more hostage-taking or refusing and risking the US journalist’s fate. For a long time, the United States and Britain have refused to allow any money to change hands while other European countries – including France – have paid up, although this is officially denied. A source who took part in efforts to free James Foley, who did not wish to be identified, said that after months of uncertainty over his whereabouts, the hostage’s family received a letter demanding an unrealistic ransom of $100 million (€75 million). But the US administration stuck firm to its line: There was no question of paying this ransom or entering into talks on this basis. On 13 August, according to the same source, Foley’s family received another letter saying their son would be executed in retaliation for US air strikes on Islamic State positions. Less than a week later, the world was horrified by the video posted online of his brutal execution. “Washington can negotiate on other matters. We saw that recently in Afghanistan where they freed Guantanamo prisoners in exchange for their captured soldier,” said Alain Chouet, a former top official at France’s DGSE external intelligence service. “But, like the British or the Israelis, their policy is consistent: we do not pay,” Chouet told AFP. The issue of hostages is “a real dilemma”, he said. On the one hand, one has to defend ones citizens by whatever means possible. On the other hand, experience shows that if you don’t pay, you have fewer people taken. “We, the countries that do pay, are sometimes considered by terrorist groups as a cash cow. We bring them an income. It’s a bit easy,” he said. At a London conference two years ago, David Cohen, US Treasury under-secretary of state in charge of terrorism, estimated that kidnappers had netted around $120 million in ransoms between 2004 and 2012. “Ransom payments lead to future kidnappings, and future kidnappings lead to additional ransom payments. And it all builds the capacity of terrorist organisations to conduct attacks,” he said. We must find a way to break the cycle. Refusing to pay ransoms is “the surest way to break the cycle, because if kidnappers consistently fail to get what they want, they will have a strong incentive to stop taking hostages in the first place,” he said. Hostage takers clearly distinguish between those governments that pay ransoms and those that do not, said Cohen, pointing to US information that in 2011, Al-Qaeda was targeting mainly Europeans, not Americans for exactly that reason. The difference is felt in captivity as well, according to former victims. Another former French hostage, who declined to be named, added that US hostages “have a different experience in captivity. For them, the fear is much stronger. They know that unlike us, their government will not negotiate”. Held by the Taliban for more than seven months in 2009 before managing to escape, US journalist David Rohde used an op-ed in The Atlantic weekly to call on Western powers to harmonise their policies on ransoms. “A consistent response to kidnapping by the US and Europe is desperately needed. The current haphazard approach is failing. “James Foley must not die in vain,” he wrote. Email “To pay or not to pay? James Foley's death underscores an agonising dilemma”. Feedback on “To pay or not to pay? 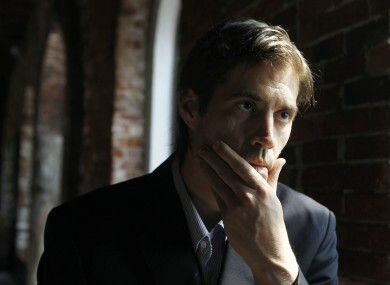 James Foley's death underscores an agonising dilemma”.